It prevents you from giving a GIFT which the recipient already has or might not like/need it. In other words, GIFT CARDS give the recipients the freedom to choose their own gifts. Go to Olympiadtester.com and choose the preparation tool you want to buy. At the time of checkout, use the code to redeem. The Gift Cards cannot be used to purchase other Gift Cards. It is necessary that the order value should be greater than the gift card value, as the balance amount cannot be redeemed. The balance must be paid by Credit Card/Debit Card/Net Banking. The Gift Cards are valid for 12 months from the date of issue and cannot be used after expiry. Olympiadtester.com is not responsible if the Gift Card is lost, stolen or used without permission. 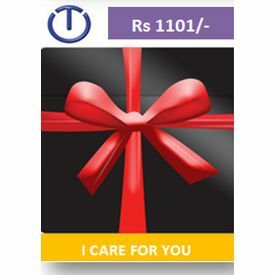 In recent times, Gift cards are becoming very popular and a preferred choice of gifting to loved ones It prevents you from giving a GIFT which the recipient already has or might not like/need it. In other words, GIFT CARDS give the recipients the freedom to choose their own gifts. Olympiadtesterr Gift Cards give them exactly what theyre hoping for. Recipients can select any offerrings from the vast collection of Olympiad preparation tools on Olympiatdtester.com How it works You can buy Olympiadtester GIFT CARDS on this site / other online sites / leading book stores / other retail outlets The Gift Card is a physical instrument with an embedded and hidden code Go to Olympiadtester.com and choose the preparation tool you want to buy. At the time of checkout, use the code to redeem. Gift Card Usage Terms and Conditions The Gift Card can be redeemed only on olympiadtester.com The Gift Cards cannot be used to purchase other Gift Cards. It is necessary that the order value should be greater than the gift card value, as the balance amount cannot be redeemed. The balance must be paid by Credit Card/Debit Card/Net Banking. Gift Cards may not be clubbed together and used for a single purchase The Gift Cards are valid for 12 months from the date of issue and cannot be used after expiry. Gift Cards cannot be redeemed for Cash or Credit Gift cards are tranferrable Olympiadtester.com is not responsible if the Gift Card is lost, stolen or used without permission.